ASPHostPortal is the leading provider of Windows hosting and affordable Visual Studio 2013. Our price starts from $4.49 per month. Visual Studio 2013 is New versions of Visual Studio usually coincide with updates to the .NET Framework and one of our biggest releases yet. It comes purpose-built to help you thrive in an environment in which ideas are at a premium and speed is of the essence. We announces the introduction of Visual Studio 2013 Hosting which is now available for all of the ASPHostPortal Windows hosting plans. 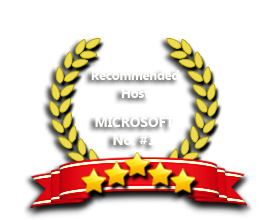 For fast, secure and reliable Visual Studio 2013 Hosting, look no further than ASPHostPortal.com for all your web hosting related needs. Microsoft Visual Studio 2013 provides many new capabilities to support development on the latest platforms with modern lifecycle tools to make it easier for teams to deliver value continuously. Visual Studio Updates help ensure you always have the best solution for building modern applications and for managing the modern application lifecycle. New to Windows Extensions, Modules, and Libraries? Ready to try out? Sign up for a FREE Trial Hosting account from ASPHostPortal.com with absolutely no cost and get going in minutes. Our Windows Server is also compatible with Visual Studio 2005, Visual Studio 2008, and Visual Studio 2010. Our Windows Cloud Hosting fully supports Visual Studio 2013 hosting. You are more than welcome to try our Free Windows Cloud Hosting before you decide to buy. You can get your Free Cloud Windows hosting account up and running within the next few minutes.